But anyway, before I melt from the heat, here is a new manicure. 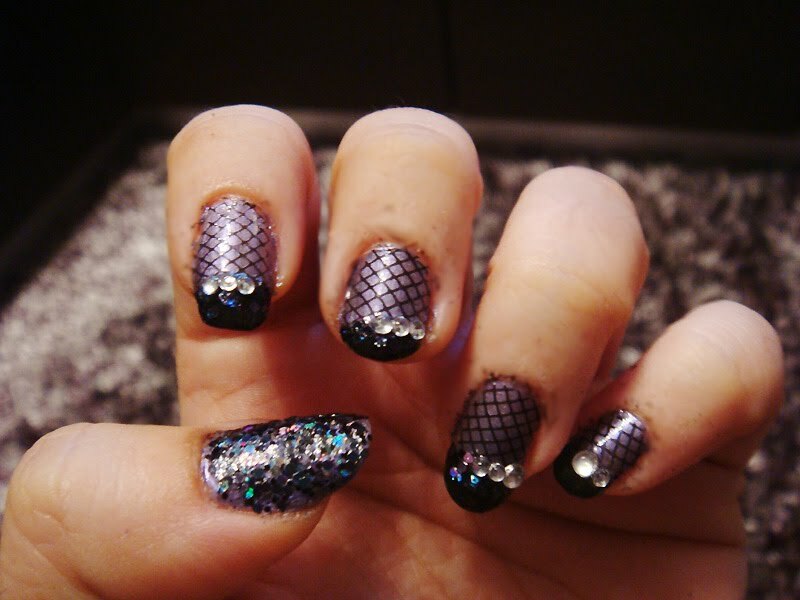 The base I used is a purple polish by Gosh, on top of that black fishnet using Konad m57 and a black polish by miss sporty. Now excuse me while I go hide in the fridge so I can make it through the day. Hehe we both like Hello Kitty it seems. Hi! Just stumbled across your blog and your manicures are so pretty! :) thank you, glad you like them. Yes. 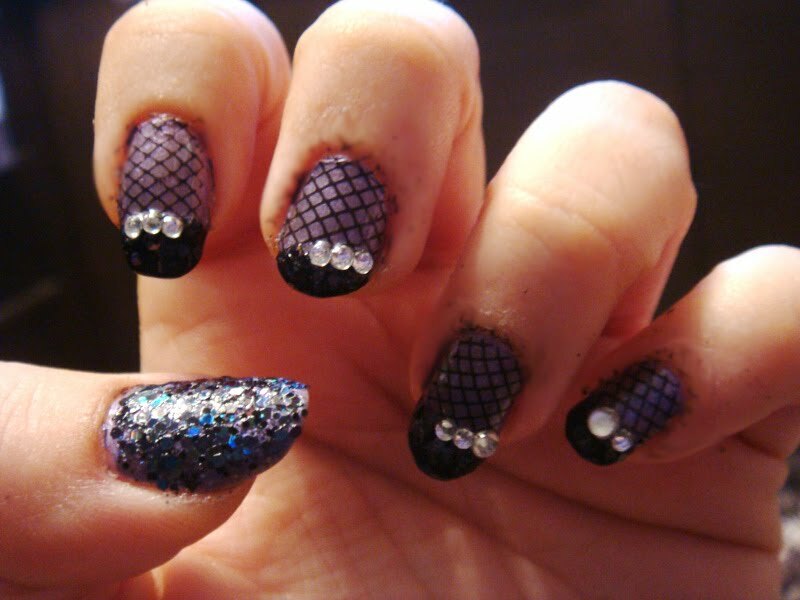 I second that, purple and fishnet just cannot go wrong hehehe. Yes, it is absolutely perfect for konad. I totally agree.